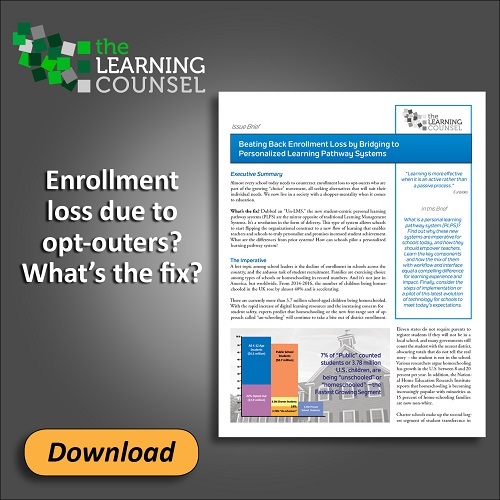 Year-by-year the Learning Counsel has grown to become a leader in supplying research and context in the shift to digital curriculum to an audience of 215,000 education executives. Our readership is comprised of superintendents, chief technology and innovation officers, chief academic officers, tech and instructional administrators, curriculum specialists, principals, teachers and interested enthusiasts throughout teaching and learning. Our mission has guided us to being the go-to media, publishing and events organization providing research and context for the education industry. We are helping executives within industry and academics to transform educational systems through digital curriculum strategies; enhance the creative construction of digital learning resources between teachers, administrators and publishers; and ultimately helping all learners everywhere become more engaged in knowledge acquisition for life success. 1. 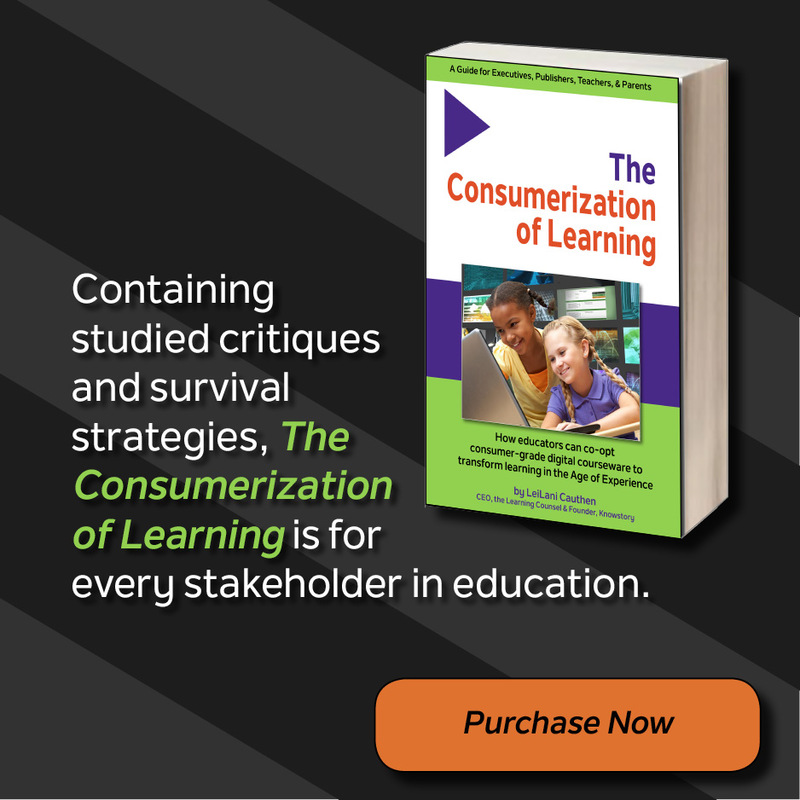 Read The Consumerization of Learning. 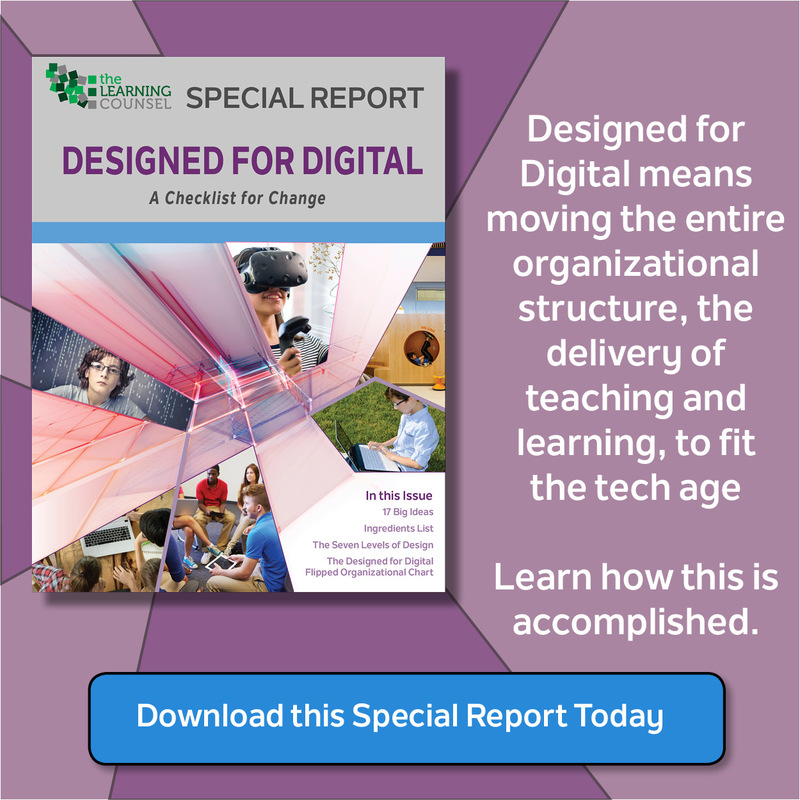 It brings greater depth to the change continuum and provides insight into the future of Ed-tech. Buy it, read it, use it. 2. Talk with us about your fit and make your story on our Knowstory.com, plus add each product to the marketplace. It’s free. 3. Join one of the Learning Groups inside Knowstory to help the market evolve in understanding all things Ed-Tech. Telecommunications, Networking, Hardware, all types of software and services gain from becoming part of our movement. 4. Support us with Event sponsorships. This puts you directly in front of executive decision makers. 5. Speak out and be part of the change continuum conversation with our incredible, and growing, audience through our special reports, case studies, video stories, or a Journal/Poster. We are uniquely qualified researchers, writers, and former education practitioners. 6. Use Video to get your message seen and heard. Visit our YouTube channel to see our many spotlight interviews and detailed market briefings. Sponsor a tailored Sharp Tank video to share your product story with our audience at every event we hold. 7. Join our community newsletter and get others to join. It is conceptually a time when our online and offline identities converge, and our value system and economy reward experience-driven products more than services only. This might seem subtle, but it is driving great wealth into the biggest companies who deliver on it like Amazon and Disney, and the entire ecosystems that are Google, Microsoft and Apple. The Learning Counsel is reporting on each of these stages of the continuum in detail. Our Special Reports on each stage are downloadable for free, simply click on the stages to the right. There are two stages still to be reported on—Analytics and Experience—and those reports will be issued in 2018. Each Special Report has sponsorship spots available for Industry to be part of the leadership team providing context for the shift in education. To get relevant with education leaders, you must understand the needs and wants of every stakeholder, their challenges and successes, the winning strategies, as well as the hardware and software potentialities. The Learning Counsel brings context, research and creativity to your marketing mix to not only help you win, but also to help education win because they are finding the best company and products. With 25,000+ education executive views each month, let us help you make your company and products known and generate powerful leads that want to hear from you.